What causes chronic inflammation? This has become a very hot topic for good reason. It is a serious, systemic problem. The Centers for Disease Control and Prevention (CDC) reports that inflammation adversely affects (worsens or causes) up to 85 percent of all chronic diseases. It has been referred to as the leading cause of death in the U.S. since it’s linked to so many diseases. Still, many people don’t know what chronic inflammation is, what causes chronic inflammation, what it means for their health, how to detect it, and what to do about it. If you aren’t up on this health issue, now is a great time to start. Acute inflammation is part of your body’s immune response to outside threats like stress, toxic chemicals, viruses, and bacteria. When the immune system senses such a danger, it activates targeted proteins to protect cells and tissues. Normally inflammation is a good thing (a sore throat for example), since it indicates the body is healing itself. When the immune system overreacts and remains on constant alert, however, the inflammation can become chronic and turn against your body. Many things can cause chronic inflammation. The most common are the food we eat, the liquids we drink, and our modern, stressed-out lifestyle. These areas are where we have the most control. A disrupted acid/alkaline balance in our body is what causes chronic inflammation most often. To work properly, our body’s pH is normally between 7.35 and 7.45. The term pH stands for power of hydrogen, which will be explained later. A pH above 7 is alkaline and below 7 is acidic. Our body’s systems are very good at maintaining this pH range. If your body strays too far from the range (which is very rare) you must go to the hospital immediately because it can be life-threatening. The problem we have with inflammation is that our Western diet contains too many acidic foods and liquids. Too much acid causes acidosis, which causes inflammation—very often chronic inflammation. A little chemistry will explain acid buildup and the beginning of the chain reaction. A hydrogen atom has both a proton and an electron. When it loses its electron, it becomes a hydrogen ion or H+. This H+ ion is weakly bound to many molecules and easily breaks off. When it does, it often forms H3O (hydronium), which is acidic. The process begins to make sense. Power of hydrogen, (pH) is a measure of how concentrated the hydrogen ion is in a solution—in this case, in the body. Having too many hydrogen ions is harmful because they form more acidic H30, lowering your pH, which leads to inflammation. Even when your body maintains the correct pH, when this H3O builds up, it affects your insulin mechanism. 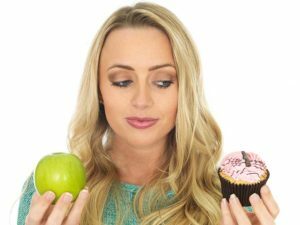 This leads you to either consume more sugar or tells the cells to release it, both of which are bad. Also, your body flora (the normal bacteria and microbes in your body) control more than 60 percent of your digestion. Hydronium allows bad, acid-loving bacteria to thrive. Diseases like arthritis, cancer, depression, asthma, and many more can be caused or worsened by the chronic inflammation resulting from excess acidity. We know inflammation can cause diabetes type 2, obesity, irritable bowel syndrome and potentially Crohn’s disease and heart disease. Figure 1 lists many of the diseases associated with chronic inflammation. Even when the body’s overall pH is normal, acid can build up in specific areas. If the inflammation is chronic, the immune system will release proteins that can attack these areas, causing serious damage. In the digestive tract, this can cause inflammatory bowel disease (IBD), ulcerative colitis, and Crohn’s disease. When inflammation causes the insulin mechanism to work improperly, as mentioned above, this can exacerbate or even cause type 2 diabetes and obesity. Within the blood vessels, inflammation can attract plaque, causing blood clots and resulting in heart disease. Near the lungs, inflammation is linked to pulmonary disease. Inflammation in the brain exacerbates Alzheimer’s disease and other cognitive brain disorders like bipolar disorder. If the inflammation invades the endocrine system, it can negatively affect anxiety disorder, depression, and PTSD. As you can see, chronic inflammation is a serious problem that affects your entire body. It is prevalent in our society in epidemic proportions and is at the root of most diseases. If you want to maintain your long-term health, you need to pay serious attention to this topic. Do I have chronic inflammation? The surest ways to test for inflammation are blood tests that your doctor can easily perform. The most common is the C-reactive protein test (CRP). The erythrocyte sedimentation rate (ESR) and the plasma viscosity test (PV) are two others. Some inflammation can also be detected with a CAT scan. Otherwise, if you are in tune with your body and can feel when the symptoms of illnesses associated with inflammation (see Figure 1) are bothering you more than normal, it’s almost always related to inflammation. The best way to avoid chronic inflammation is to eliminate excess acid in your body. This requires a more alkaline diet, including food and drink. I created a nutrition plan that includes a diet of low-acid foods to help patients prevent chronic inflammation. Also, you can drink alkaline water to buffer and reduce, but not eliminate the excess acid. Sometimes the alkalinity in this water is achieved by adding large amounts of minerals or baking soda to water. This can cause over-mineralization, osteoporosis, and kidney stones, so you need to watch the composition of the water you use. To find a way to eliminate acid, I performed extensive, peer-reviewed research on many sources of water and discovered a pure, alkaline hydroxide water. This water has been naturally made from pure limestone. Drinking it is the safest method to eliminate acid, and therefore inflammation, from your body. A natural chemical reaction is the secret; no magic is involved. The water consists of OH- ions (hydroxide). Once ingested, these ions automatically attract the harmful, acidic H3O ions that cause inflammation in your body. The reaction forms H2O—plain water—in your body, which you then easily eliminate through urination. The actual formula, for chemistry buffs, is H3O + OH = 2 H2O. 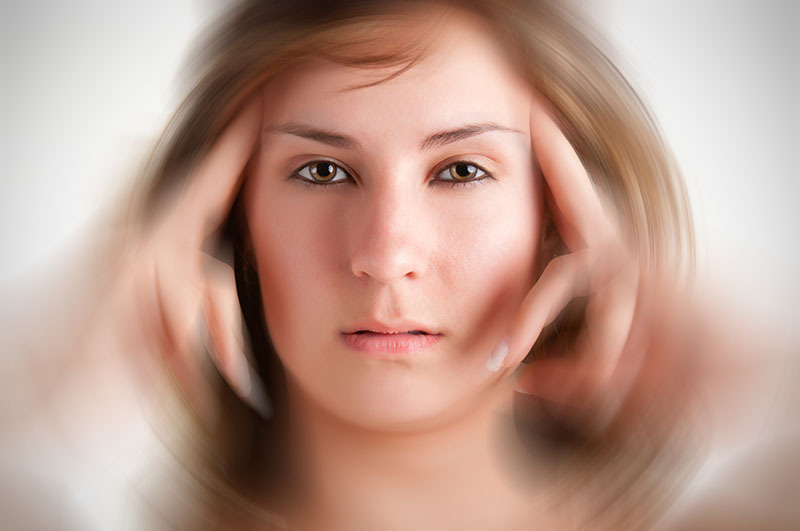 Stress also causes inflammation when your body releases stress hormones. So another important way to maintain proper pH is to manage your stress. Much of our stress today is chronic, and much of it is perceived. Perceived stress means we stress more because of how we feel about our lives and the events in them. By changing your perceptions, you can reduce your stress and its harmful effects. Practicing yoga modulates your stress-response systems by reducing perceived stress and anxiety. This, in turn, decreases physiological arousal. For example, it reduces the heart rate, lowers blood pressure, and eases respiration. There is also evidence that yoga helps increase heart rate variability (the variation in the time between heartbeats). This measure is an indicator of the body’s ability to respond to stress more flexibly. A type of controlled breathing with roots in traditional yoga shows promise in providing relief from depression. Studies show that the levels of inflammatory stress hormones, such as cortisol, dropped in those who regularly practiced controlled yoga breathing. Pilates is a great way to improve the body’s complex lymphatic system. Lymph is fluid stored in the body for the removal of waste and toxins and for the transport of infection-fighting white blood cells through the body. Your lymph system transports this fluid in one direction only—upward toward the heart. The fluid is moved only by the contraction of your skeletal muscles, similar to a pump. People who have sedentary lifestyles for any reason do not give their lymph system any way to transport lymph efficiently. Wastes and toxins build up and become problems. Performing gentle Pilates exercises helps to increase lymph movement while reducing inflammation and aiding in the detoxification process. Any form of exercise, even walking, is far better than sitting on the couch or at your desk for extended periods of time without activity breaks. Meditation is also a great way to reduce stress and to perceive stress differently. 1. Robergs Robert A, 2001. Exercise-Induced Metabolic Acidosis: Where do the Protons come from? Sportscience 5(2). 2. Robergs Robert A, Ghiasvand F, and Parker D. Biochemistry of exercise-induced metabolic acidosis. Am J Physiol Regul Integr Comp Physiol 287: R502–R516, 2004. 4. Vojdani A, Bautista J. Intestinal and blood-brain barrier: Interface between health and diseases. Functional Neurology, Rehabilitation, and Ergonomics, 2(3): 277-297, 2012. 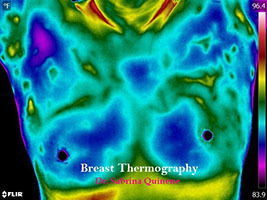 NextBreast Thermography vs Mammogram–Which is Better? Dr. Keith Kantor (PhD, nutritional science), author, speaker, and nutrition expert is CEO and founder of the NAMED Program which frees people from addiction through nutrition. He is a board director for the National Alliance on Mental Illness (Gwinnett), the nation’s leading voice on mental health, and an expert panelist for Consumer Health Digest. He is a popular speaker on entrepreneurship, natural products, and healthy living. 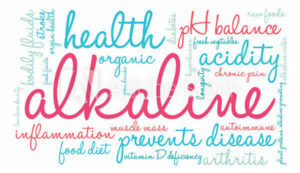 For more info about inflammation, see Undersanding Alkalinity and Acidity. For a free week’s worth of menus designed by Kantor to prevent chronic inflammation, visit the Named Program. Kantor has also authored an engaging nutrition and fitness book for families and children, and a book promoting how America can create a true healthcare system as opposed to a disease and accident management system.